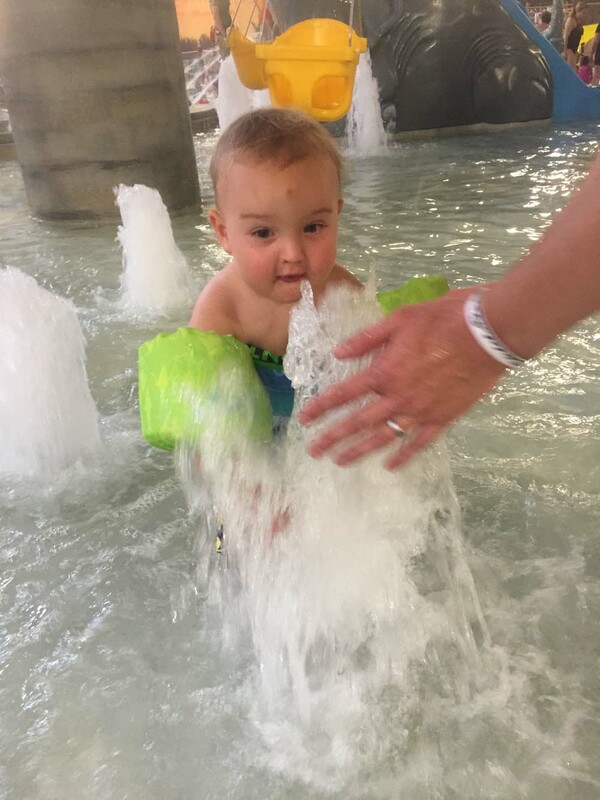 Being on the road with a little one means that I’m always looking for fun activities we can do as a family and not be cooped up all weekend – I know my mommies can relate! And we are lucky to get to travel across the country, so I like to get out and explore the local areas around the tracks. 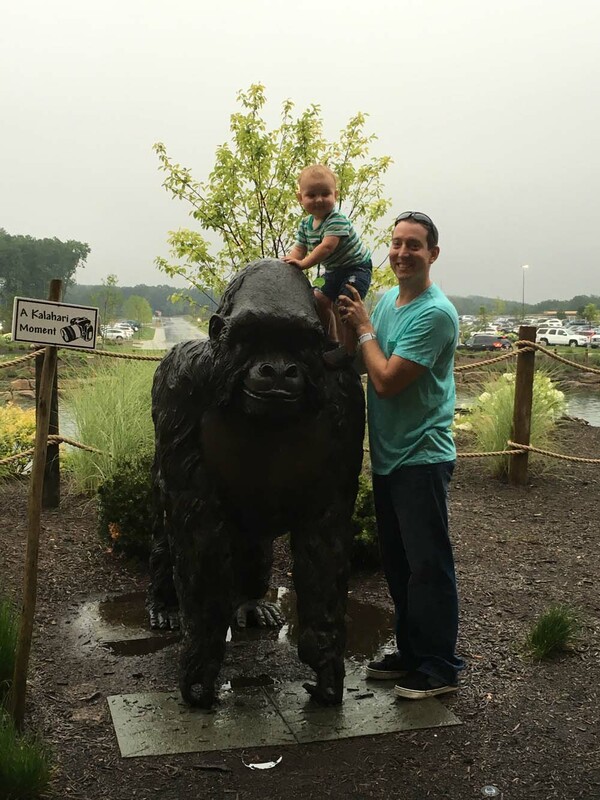 Pocono has quickly become one of our favorite places to go because of Kalahari Resorts! It’s only 20 minutes from the track and is the perfect little getaway for the family. 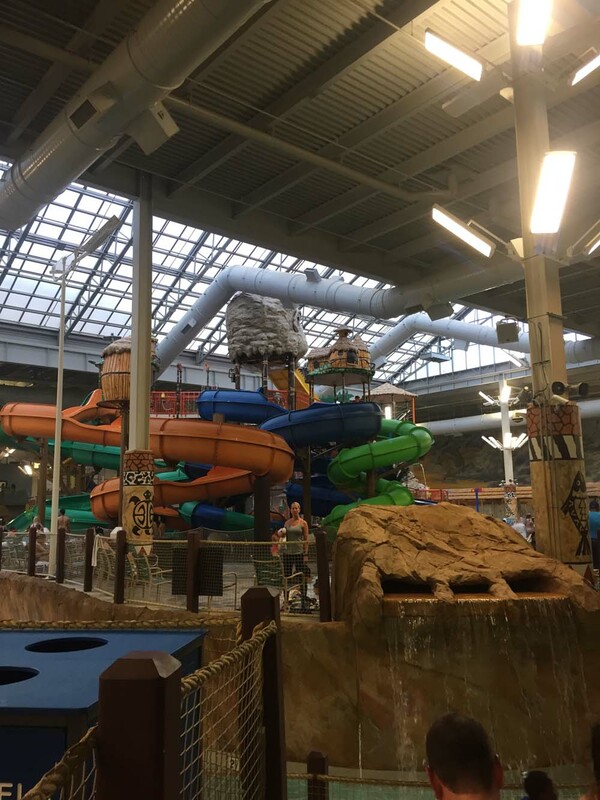 So I wanted to share our experience at the Kalahari this past weekend in case you all are looking for a fun family getaway! It’s easy to drive to, a great value for a family vacay and there’s something for everyone to do! We loved it! When you walk in the door, the first thing you see is a huge sweets shop with everything from fudge to candy apples and ice cream. It took me a minute to gather myself and not instantly go there, but we had to check in first! Check-in was a breeze and the staff is very friendly and helpful. All the adults get wristbands which are your access keys to your room and also to the waterpark. This is really nice because then you don’t have to worry about holding onto a key with your nine million other items! The rooms have a cute almost jungle theme to them and everything is very clean and comfortable. They have several different room layouts, from a basic guest room to suites with bedrooms and full kitchens. 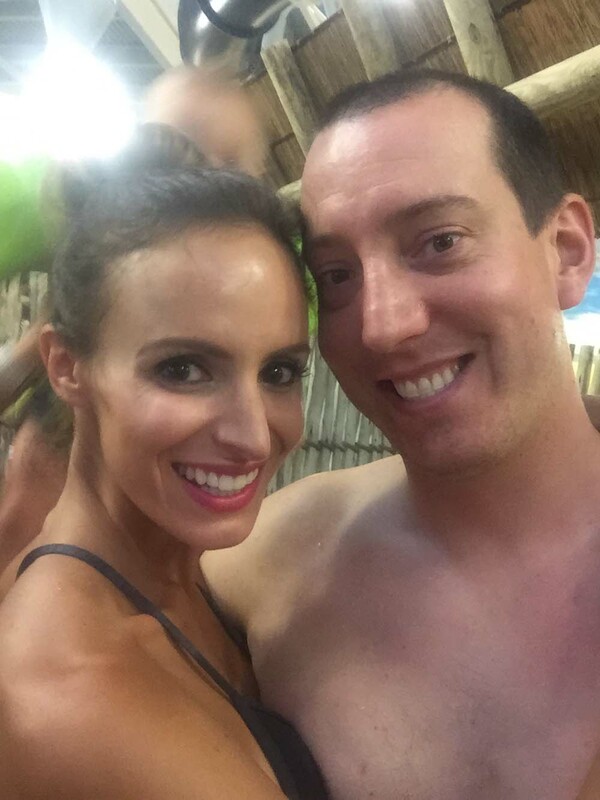 We didn’t have time to check them out ourselves, but in the elevators there was a movie playing of Spa Kalahari and the fitness studio – they even offer personal training! They look very nice and perfect for mommy and daddy time! But let’s talk about the main attraction, the massive waterpark! First, the weather in Pocono, as we saw with two rain delays this summer, isn’t always great. 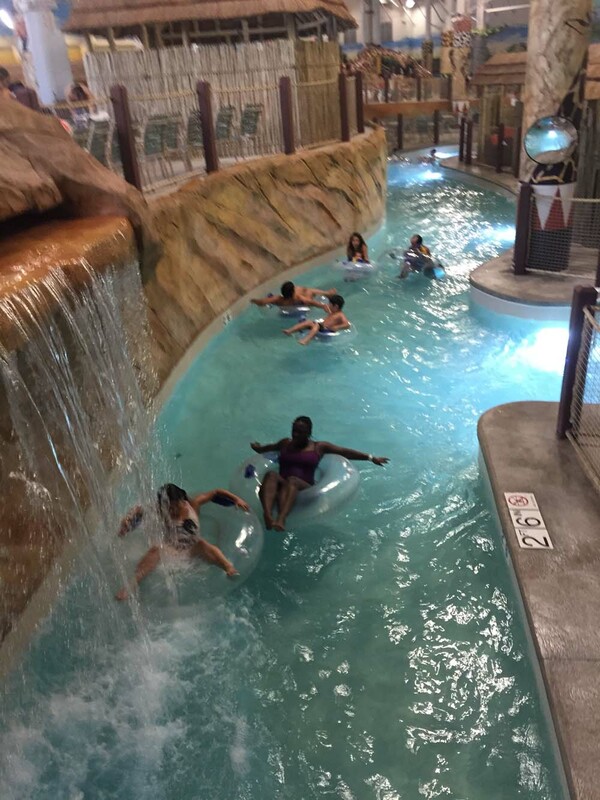 So the Kalahari has the majority of their huge waterpark indoors. This place is seriously amazing. When you enter, the place is nice and warm (which I was worried about with a little one because it was chilly out) and they have free towels to use so one less thing to pack! 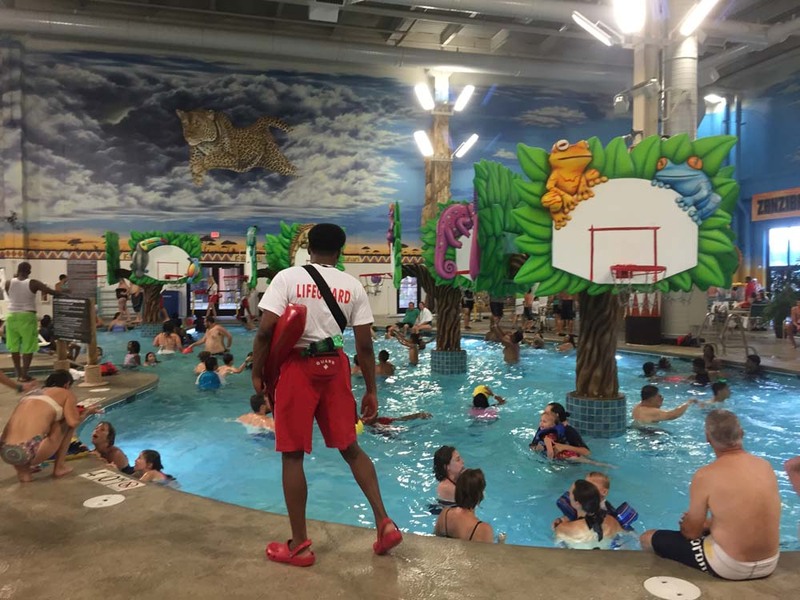 There are literally water activities for every single age! I would say the activities are broken up for 0-4 or 5, a section for 4-9 and then big slides and other things for older kids! In the area we took Brexton, there were a ton of slides (including mommy and me ones), water tables, swings, a mini lazy river and so much more! 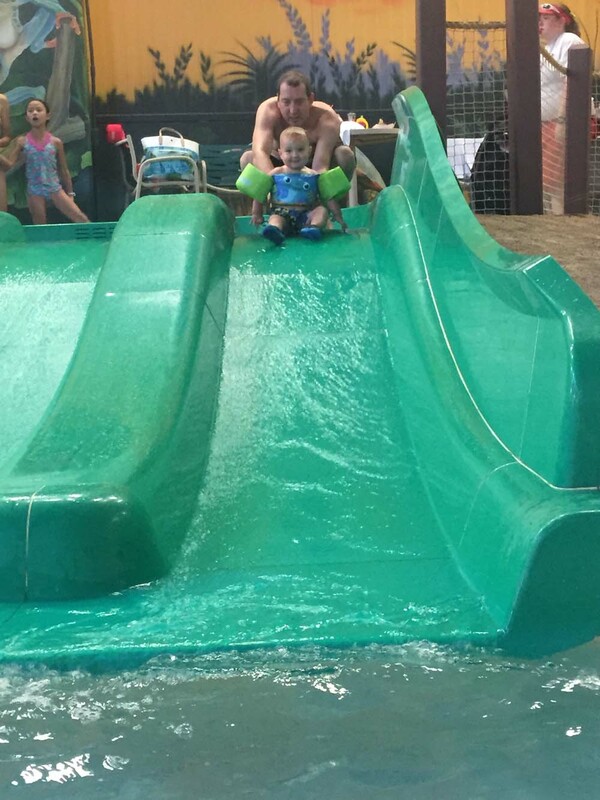 He had such a blast running around and of course no fear going down the slides! I also included pics for those of you that have older children of all the activities. 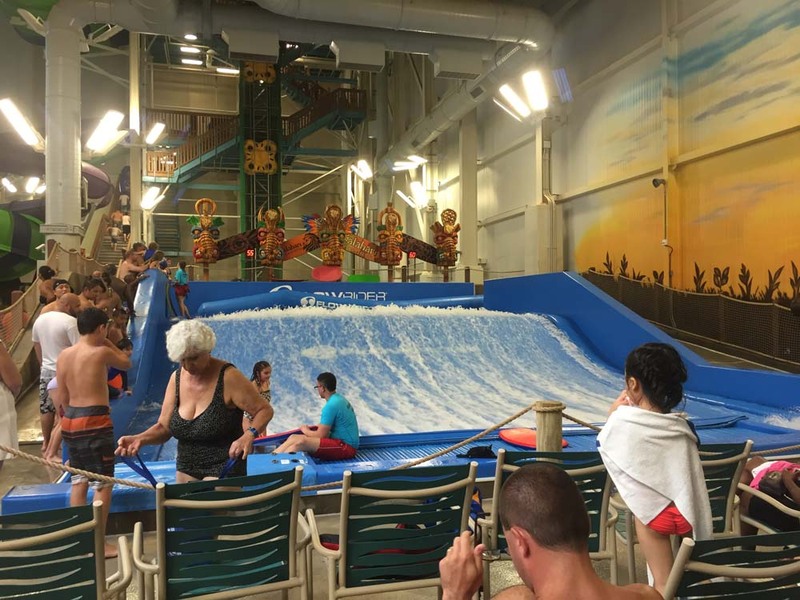 There are big slides, a surf area, basketball hoops and a huge lazy river. Really, I can’t say it enough, there is something for everyone! Also, we had a big group, so we rented a cabana which was great! You could get lots of food and drinks, and there was a TV which the boys were happy about to keep an eye on the truck race! There are, of course, a ton of kid friendly food options and also fun drink options for the adults! 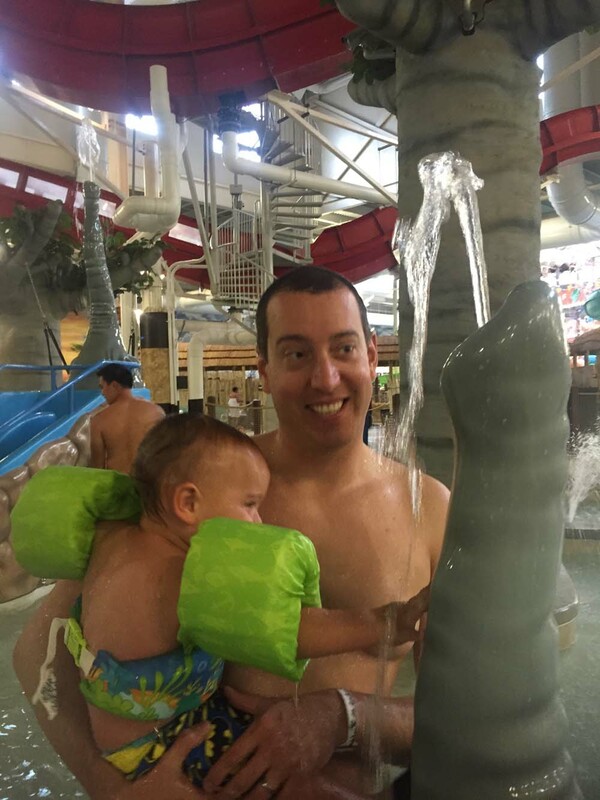 And you don’t have to stay at the resort to visit the waterpark, you can buy day passes too! After a few hours of playing in the waterpark, we hit the huge arcade for a bit and then got ready for dinner! 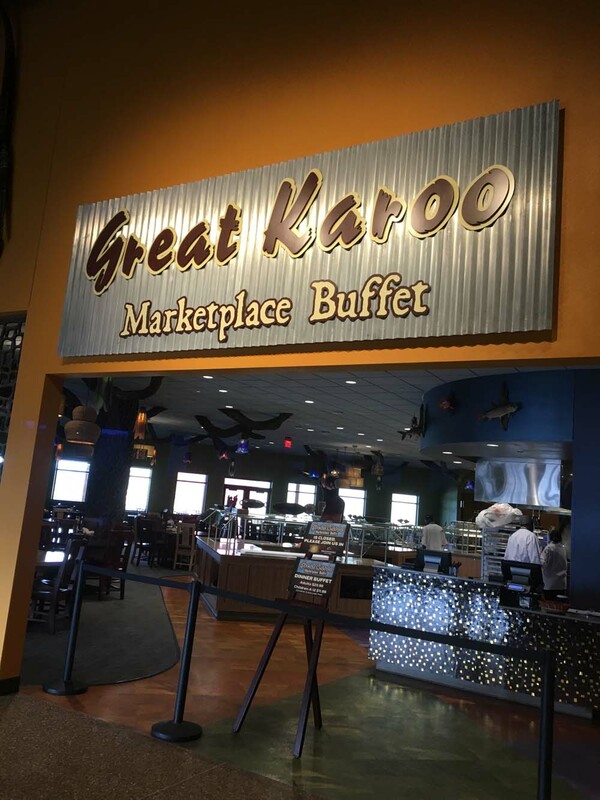 There are a number of dining options including a buffet, grab and go shop, pizza and a sit down restaurant. 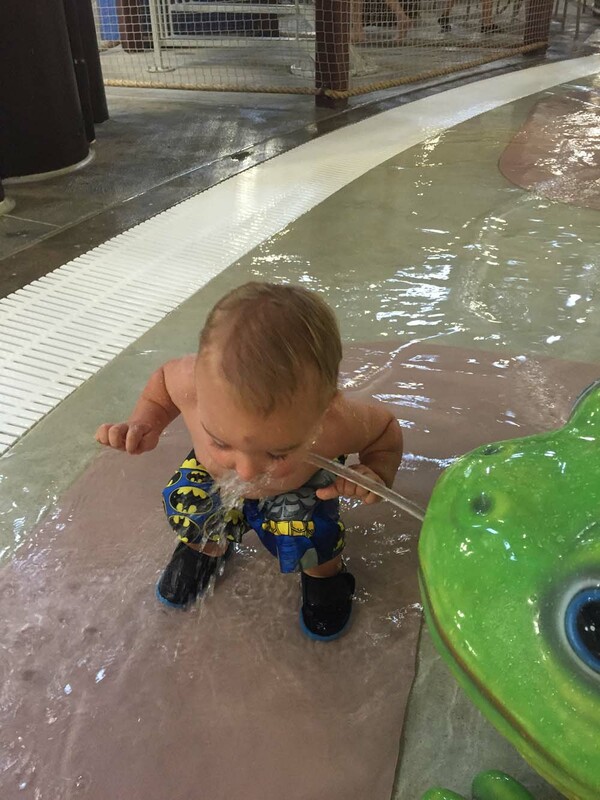 We had worked up an appetite at the waterpark, so we chose the Branderberg. It was very nicely decorated and kid-friendly! They had an extensive menu with yummy options like a Thai peanut sauce and bacon burger, which Kyle said was amazing. I had delicious seared scallops and our friends went for prime rib and salmon, all of which were yummy. They also have a nice wine and cocktail list. The best part is these people just straight up understand kids. After playing for hours, they were all very “hangry”. When we sat down, we immediately ordered food for the kids and it seriously came out in five minutes! 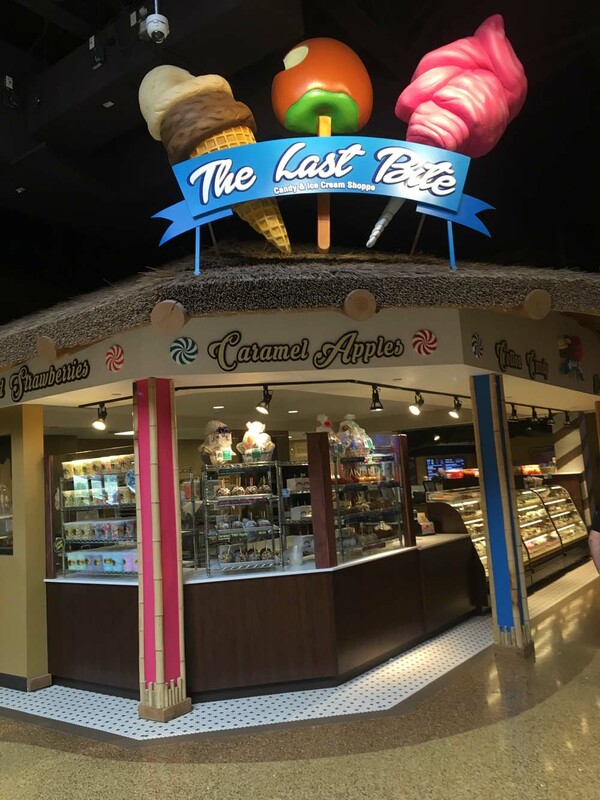 Following dinner, we stopped at the Last Bite, which I mentioned in the beginning of this blog, and shared ice cream and candy apples! It was the perfect way to end such a fun filled day! 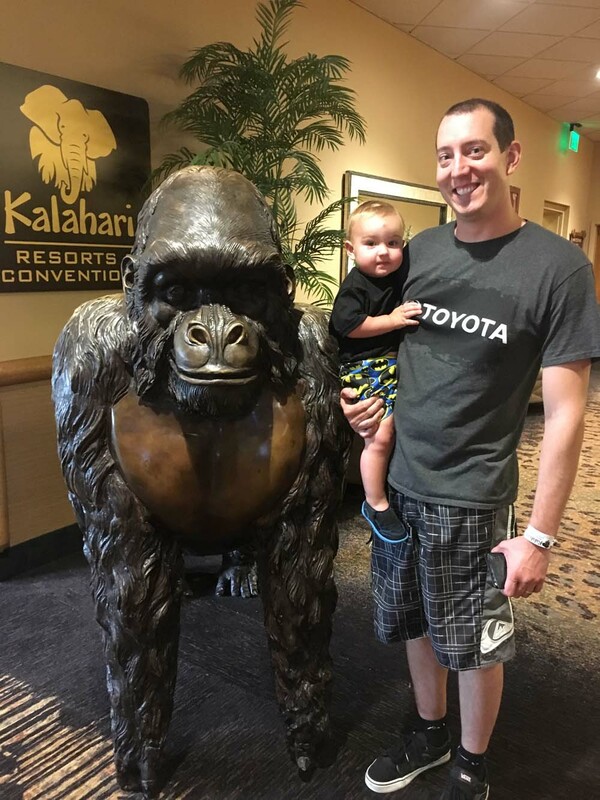 I would love to hear from you if you’ve visited Kalahari before or if you plan a trip there in the future, be sure to share your photos with me! I’d love hear about your family trips!